Disclosure: This is a compensated post in collaboration with Sabra Dipping Company as a Sabra Tastemaker. All travel, conference entry, and this post were compensated by Sabra. As usual all opinions are my own. 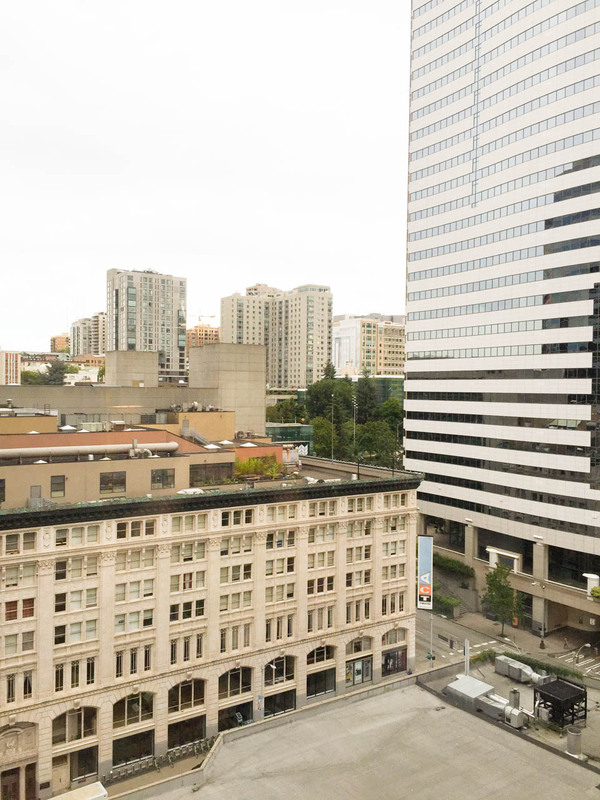 I went to Seattle last weekend with my blogging homies and it was a super awesome time! First off, I’d like to thank Sabra for sending me to this fantastic food blogging conference full of great sessions, inspiring speakers and people. I am so grateful to work with such talented and amazing people, like those at Sabra. They make my work so much easier, they rock! It started with a great road trip with my homie, Carrie from Poet in the Pantry. Great conversation and motivation road trips are a great way to start the weekend right?!! We ate at a quiet and tasty place near Pikes Place to continue to goodness. Attending conferences with so many people can be overwhelming, in a good way, so I like to make sure I eat and drink tons of water, and take plenty of breaks to get the optimal amount out of it that I can. It’s really important to me that I am present and able to retain the copious amounts of information that comes my way during these events. 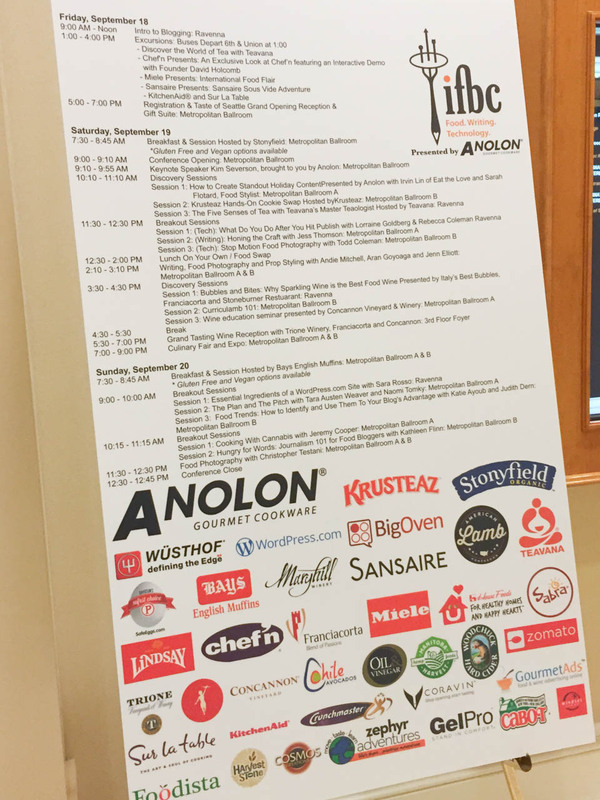 Saturday was full of educational sessions, and it all started with a humorous, well done, and honest opening keynote speaker from the New York Times. Kim Severson is the NYT food corespondent, no bs kind of woman. She made sure to address transparency, honesty, and all of the glorious notes that can come from being a blogger. It really is important, like in this post, to be honest with you, my readers, when we work with companies so you know up front. That is precisely why I post at the top of the post that this is in collaboration with a company. Not to mention, I read the FTC guidelines which require it by law to be at the top. It was nice and reassuring to hear from a person of that food writing stature to encourage us do always to better, be better, and make a difference in our field. Not just make the next buck, and fill the next advertising request. She inspired me to check myself, my sources, my intention, and be a better representative of my site. It was very cool, my kind of keynote speaker. It changed my view on the rest of the day and made me feel great about the company I was there representing other than myself. Transparency in mind. There were sessions with cookbook authors, photographers, prop stylists, fellow recipe developing loving people, and tasty bites all day long. We had a long lunch break to enjoy the local fair, which we totally did! I had a crab roll and clam chowder, Pacific Northwest style on both. Clean, creamy, and perfectly subtly seasoned enough to enjoy the chunks of crab in a very soft roll. It was seriously the perfect lunch to fuel our afternoon sessions of brain stimulating conversations happening in the hallways like at most conferences, plus the additional awesomeness going on in the sessions. SO much learning to be done! 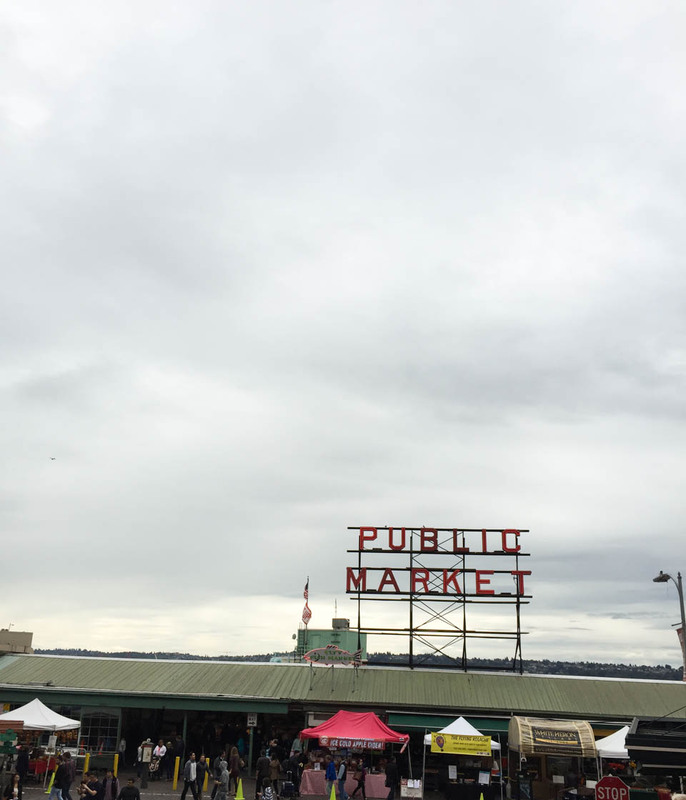 Clearly there was an afternoon cup of coffee to go with all of that because in the evening we got to showcase the beautiful food we bought at Pikes Place to go with our gorgeous Sabra treats. It was awesome! All of the bloggers and other attendees kept coming back to our table because we had healthy food. That made me happy and cracked me up. I had a job to do, and that was Fabi-fy the Sabra table. No problem! 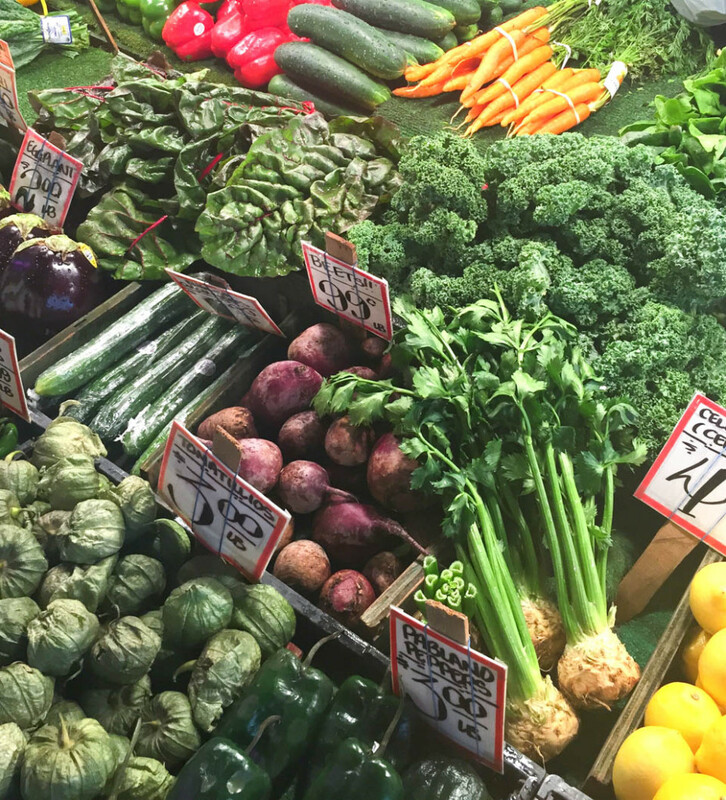 Give me vegetables and food I love and I got it. I chopped up the beautiful and local produce that so easily goes with the Sabra products we had. People were happy and kind of apologizing because they came back not just for seconds, but for thirds. 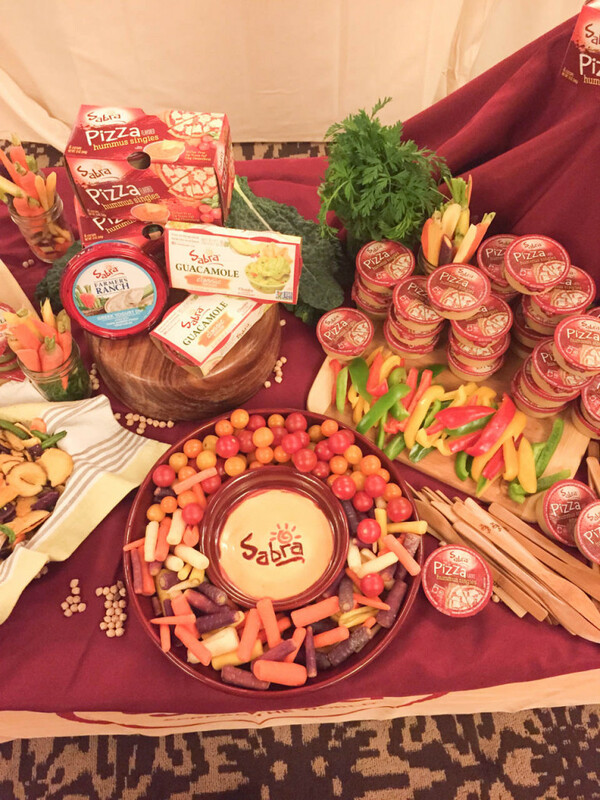 Sabra is loved by all, but especially food bloggers. It tastes good, fills us up, and is perfect with vegetables. We don’t get many vegetables during these conferences, so it’s nice we were a part of the healthy table to make people happy. Just another way to reassure we are doing it right! Fill up the bloggers with protein and vegetables! Another way to make my job easier, and I was happy to be a part of conference event evening. 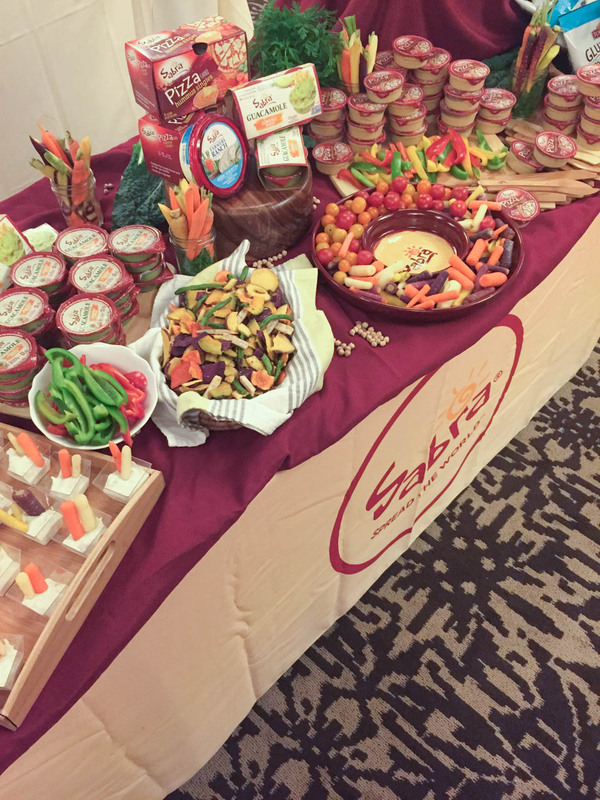 I was able to represent Sabra, myself, and talk to all of my blogging buddies about the amazing products, especially those that came back for more. By Sunday and the end of it all I needed a nap before driving home. I really did take a nap by the way. I seriously could not stay awake after I packed up my stuff. So I fell asleep in the glorious bed I had enjoyed all weekend long for one last restful sleep, a twenty minute nap. It’s funny because while I leave conferences exhausted, I also feel reenergized. Inspired to do better, not just more. I’ve learned to tame the more is better, it’s not, it’s just more. I learned to take the value from the sessions, new friends and old, and turning it into a fresh start, motivating to push forward and do what I love. Which is being here in this space I call my own, sharing the food I love with you! SO thank you for being here, without you none of this is the same! I’m so glad I could share this experience with you–it would not have been the same otherwise! Kim made a huge impact on me, too. I miss you!